A comprehensive guide to the best resources on the 2012 Mexican elections by the Mexico Institute at the Woodrow Wilson Center. The PRI swept in all three gubernatorial races. 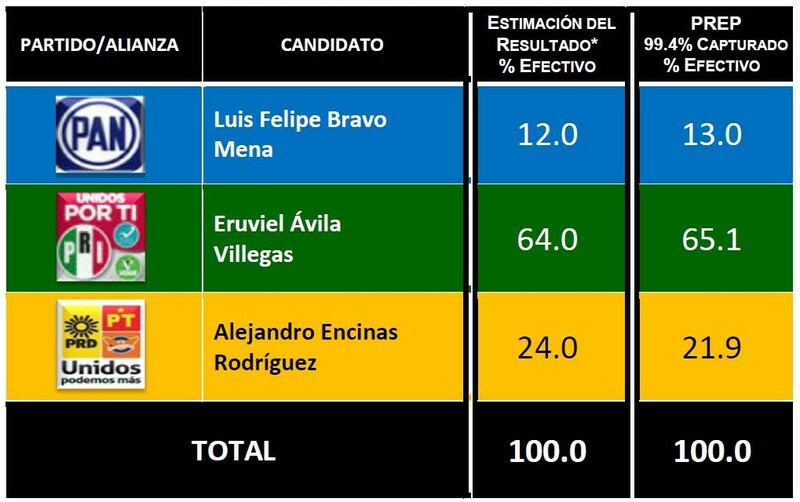 In the State of Mexico (first graph), the PRI candidate for governor, Eruviel Ávila Villegas, beat his closest competitor, the PRD’s Alejandro Encinas, by 40 percent, with a total of 64 percent of the vote. 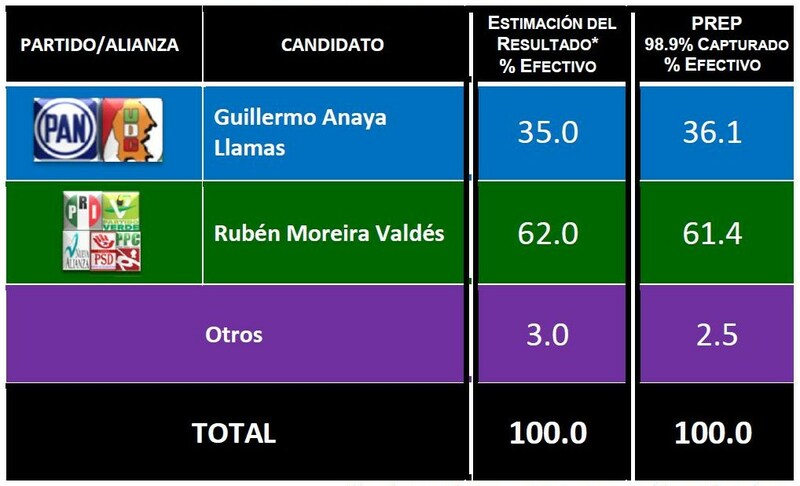 In Coahuila (second graph), the PRI candidate, Rubén Moreira, won the governorship with 62 percent of the vote. His closest rival, the PAN’s Guillermo Anaya Llamas, pulled 35 perent. 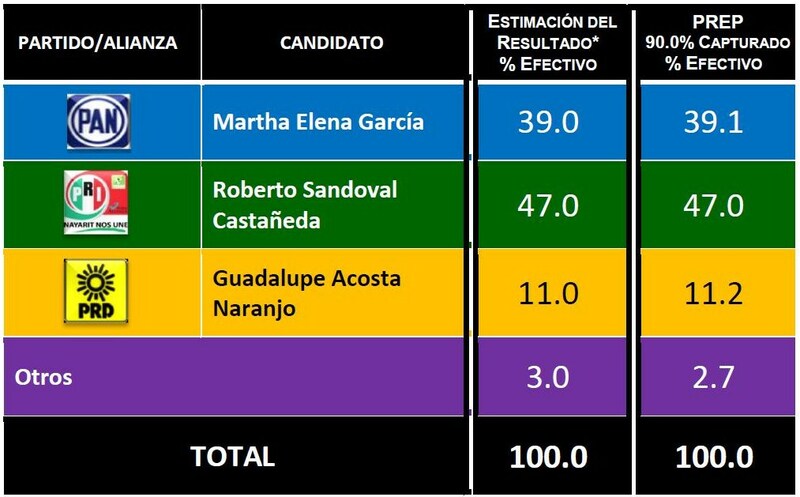 In Nayarit (last graph), the PRI’s Roberto Sandoval Castañeda won with 47 percent of the vote, beating the PAN’s Martha Elena Garcia, who pulled 39 percent. This entry was posted on Sunday, July 3rd, 2011 at 10:54 pm and is filed under Analysis of Key Moments, The Polls. You can follow any responses to this entry through the RSS 2.0 feed. You can leave a response, or trackback from your own site. This site provides a comprehensive guide to the best resources on the 2012 Mexican elections by the Mexico Institute at the Woodrow Wilson Center. You can find background on the political parties and candidates, follow where they stand in the polls, check their stance on security, the economy and on other important topics, find sites for further reference, and review the key dates and moments in the lead-up to the election itself on July 1st, 2012.